"My time at University of Plymouth was spent learning in so many different environments, and this was one of the aspects of the course that made it so enjoyable. 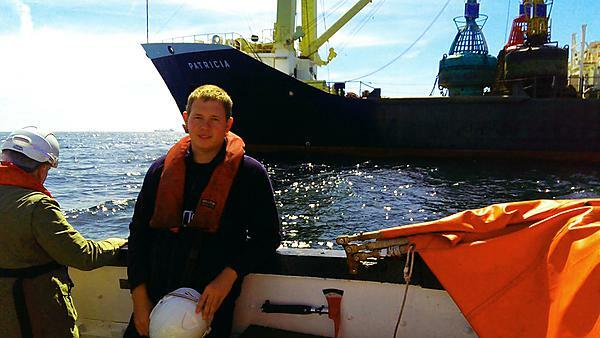 Combining academic studies with practical tasks and 12 months sea time away on merchant vessels made for an exciting and challenging study path, and allowed me to travel around the world and visit some amazing places. All helped towards gaining my Certificate of Competency at the end of the programme. I am now a second officer with Trinity House Lighthouse Service, on board the THV Patricia, a ship that works to maintain aids to navigation around England and Wales; an interesting ship where no two days are ever the same. I hope to return to University of Plymouth in the future to 'top up' my foundation degree to a BSc (Honours) degree, an appealing prospect to look forward to."